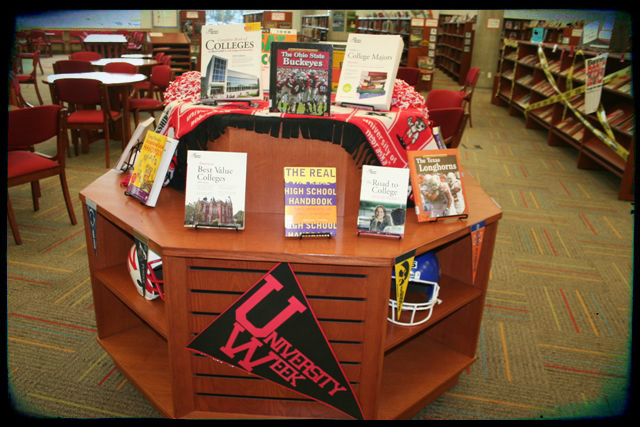 It’s University week! Time to get middle-schoolers to think about those long-term goals. It’s never too early to plan for success! All teachers and staff are encouraged to promote their alma mater through clothing or posters or other material. It was a great excuse to break out my Nebraska Cornhusker props! 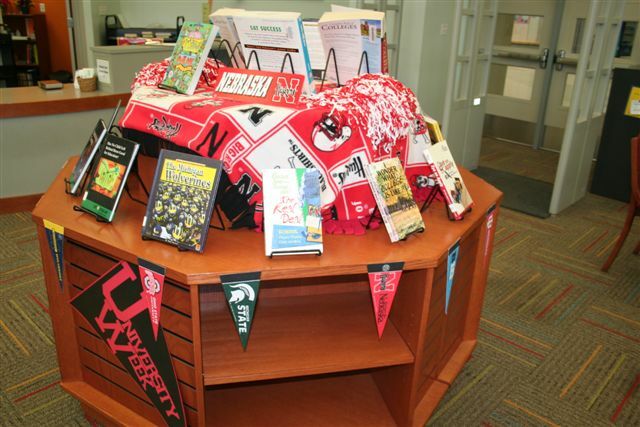 Blankets, pendants, helmets, and pom poms were great accessories for this display. 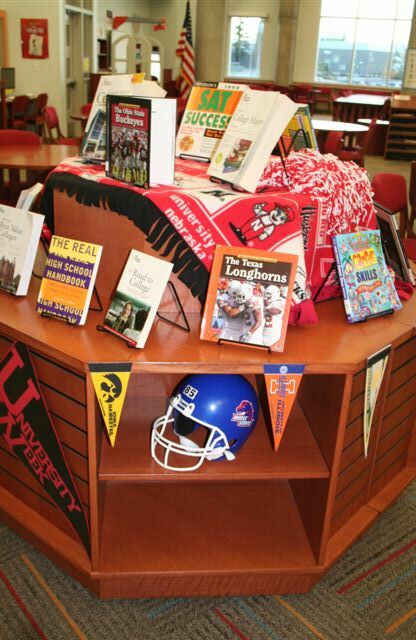 There are not a lot of college resource books at the middle school level, but we focused on pulling books about school success in general, learning disabilities, SAT preparation and some books featuring college football teams. This display is only up for the week but it’s pretty easy to pull together.